Our Life design, the Master Plan, is inscrutable – but has to be accepted and faced! Anything, absolutely anything can happen in Life. You just have to learn to face it and deal with it. 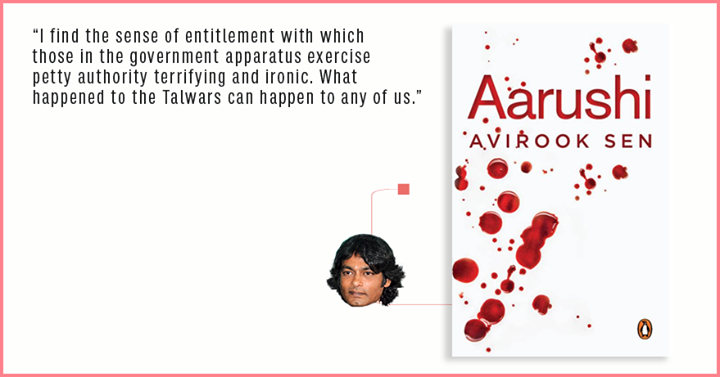 A couple of days ago I finished reading “Aarushi” (Penguin, 2015) by journalist Avirook Sen. The book obviously tells the story of the double murders (of 14-year-old Aarushi and the middle-aged housekeeper Hemraj) that shocked all of India in May 2008. But more important, the book tells us that Dr.Rajesh Talwar and Dr.Nupur Talwar, Aarushi’s parents, did not kill her.In telling us so, Sen makes few things very evident to the reader: how flawed our judicial system is, how there is a heartless, cold bureaucracy that thrives at our premier investigating agency, the CBI, and how lawyers, and their often flaky strategies, can ruin a good chance for a client. Sen does not make an explicit summary of these points. This is what you glean through reading his unputdownable book. But above all that is evident, there is also the implicit Life lesson that one picks up – anything, absolutely anything, can happen in Life; and all you can do is face Life and deal with it. 3 Dec 2013: Still can’t understand how this happened to us. If only I would have gotten up….I could not even save my dear Aaru. Very difficult to live without her. 9 Dec 2013: Miss Aaru so much and that time and our Life. People talk about their children and what they are doing. They come and meet them in jail. But for us, nothing. 10 Dec 2013: Met Nupur in the afternoon. It’s really strange what Life has dealt us. But this is what it is. 18 Dec 2013: This is the 25th year of our marriage and we will celebrate 25 years on the 19th of January (2014). Could anybody imagine where we would be on our 25th anniversary? No Aaru, no house, no clinic, no money and sitting in jail for something we haven’t done. Dr.Talwar’s journal entries gives us a peek into how we think through a cathartic time in Life. When you read “Aarushi” you will realize how the Talwars have been done in by Life. Yes, we can blame the investigators, the judicial system, the witnesses who were influenced or coerced and whoever else we want to; we can even blame the Talwars for sleeping through the most dramatic and gruesome night of their Life. But ultimately this is the design for the Talwars’ Life: No Aarushi, no house, no clinic, no money and sitting in jail for something they haven’t done. They simply can’t escape it. This is the way all our lives are designed. We can’t escape that design. We can fret, fume, kick around, bawl in agony, fight, resist – we can do all we want and can do, but Life goes on happening to us. The way it wants to. The Life design we all have to face and deal with is inscrutable. Some call it karma. I believe it is a Master Plan. And as I have learnt from someone, and learnt from being through Life’s experiences, the Master Plan has no flaws. We may think it is flawed because we believe we don’t deserve what we get or what happens to us. But in the end, it all adds up, all of it makes sense. You do eventually realize that whatever happened, happened for a reason and, believe me, for the good! Dr.Talwar runs a dental clinic inside the Dasna jail. Even as he and Nupur await their appeal for suspension of their sentence by the Ghaziabad CBI court to be heard by the Allahabad High Court. The truth is, reveals Sen, the Allahabad High Court is presently hearing appeals from the 1990s. So, you can imagine how long it can take for the Talwars’, who were convicted in November 2013, appeal to be heard. That brings us to a key operative word, a killer App, if you will, to face and deal with Life stoically – that word is “acceptance”. You can’t control what is. You can’t create what is. And because it is what it is, you simply have to accept what is; while continuing to do your bit to make each day count, and keep on living the Life that you have! Author AVIS ViswanathanPosted on July 25, 2015 March 14, 2016 Categories Aarushi, Aarushi Talwar, Acceptance, Avirook Sen, CBI, Dasna Jail, Dr.Nupur Talwar, Dr.Rajesh Talwar, Hemraj, http://schemas.google.com/blogger/2008/kind#post, Inner Peace, Intelligent Living, Karma, Master Plan, Penguin1 Comment on Our Life design, the Master Plan, is inscrutable – but has to be accepted and faced! As much as is possible, stay opinion-less and don’t judge anyone. For, anything can happen in Life to anyone – including you – at any time! As the Aarushi Talwar whodunit continues to flummox an entire nation, a CBI court, in perhaps a first of many sentences to follow in this case, holds the parents guilty and has awarded stringent punishment for them. This is a case where it’s common knowledge now that crucial evidence has been either lost or destroyed and where the investigators have evidently, consistently, bungled. 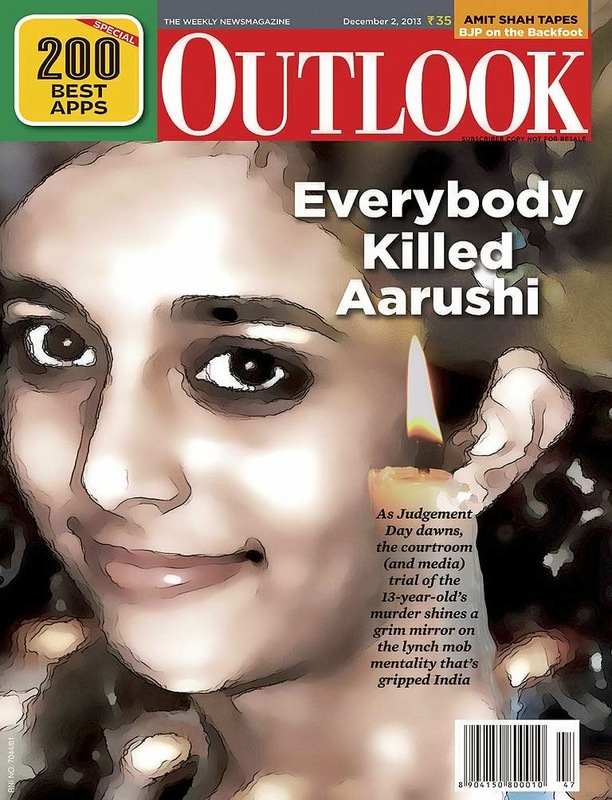 The latest issue of Outlook magazine runs a cover story titled Everybody killed Aarushi! The story details how several gaps exist in the CBI theory, how, mysteriously, evidence has gone missing, how, curiously, the CBI court refuses to ask pertinent questions and how everyone – the media that has thrived on sensationalizing the case all the time, the inefficient UP Police and CBI teams and the public at large, who have been recklessly pronouncing judgment from day one – has contributed to the trial being driven more by popular opinion than by intelligent, evidence-based reasoning. In the midst of all this, one can’t even imagine what the dentist couple, Rajesh and Nupur Talwar, must be going through. Whether the Talwars are guilty or not should have been ideally determined through an unimpeachable investigation and an unchallengeable judicial process. From all that is available in the public domain, it just appears, at least to many, that the Talwars did not get a fair trial. Yet, I am not going to invest myself in dissecting the case more than it already has been. Instead, I invite you to consider another opportunity here. This bizarre (ongoing) episode can teach us something about the nature of Life – if we care to pause, reflect and learn from it! If we look at ourselves, we will realize that all of us have opinions about anything and everything under the sun. Further, we like to offer these opinions, freely, with complete abandon – often when they are never really solicited. Worse, we rush to judge people and events based on hearsay or on what we imagine or, as sadly is the case these days, on what the media has to conjecture! In an urban, educated, tech-driven world, ruled by nano-second social media virality, trial by the people, by popular and ill-informed perception, is as irresponsible as it is instantaneous. Really, of what use are opinions that don’t concern us? Why comment on someone or something, without knowing the truth, just because you want to make a statement, and, more important, be seen as making one? All of us are a product of the time that we go through. What is happening to the Talwars can happen to anyone – not so much in terms of the specific context but in terms of being put in the dock with nowhere to go to or hide! Life can be totally unfair and can sock you again and again and again – without respite – leaving you no opportunity to even find your bearings or gather yourself. You can go on beating your chest and keep crying from rooftops saying you have been dealt with unfairly. But since Life never guaranteed anything, and most certainly does not promise any fair-play, it will simply go on. Life’s events and course have no logic or explanation. For instance, you can be in the wrong place at the wrong time and may be implicated in situations that you did not bargain for. Or you can invite a situation because of your actions. Either way, you have to endure what the cosmic design has ordained for you. You simply can’t escape it. People with a different perspective will refer to the cosmic design as destiny and explain it by way of Karmic theory. Without refuting such thinking just because we don’t necessarily understand it, let’s remember that Life’s just the same, inscrutable and unpredictable, for everyone – no matter what the packaging looks like with respect to each person’s lifetime and what the individual label reads. Judgments and opinions have no place in a Life that spares no one! So, if you are the Talwars, you stand accused and, now convicted, for murdering your own daughter. Or someone can call you a cheat simply because your business sank and you went bankrupt. Or someone can say your marriage failed because your spouse suspected you of infidelity. The stories are endless – as many as there are people on the planet. And each one will have a twist of its own, its own tale of Life’s vagaries and, often, injustice. Each and every one of us has to live the Life that’s already cast and is in store for us! Remember though that each Life event or encounter is not an accident. It is there by design – to teach us something new, while making us better, stronger and humbler. So, just because your Life-changing crisis hasn’t arrived yet, just because you think nothing dramatic will ever happen to you, it’s probably not a great idea to let your opinions and judgments about others run amok. A simpler, and definitely more peaceful, way to live will be to wish everyone well. Don’t judge anyone. Don’t offer an opinion for the sake of making one. Let people live their lives per their unique designs. While you live yours knowing fully well that the Master Plan has no flaws!